While movie, "Island" is ready to be released on the 26th of this month, the team has unveiled a new poster that exudes the mysterious and ardent feels. Movie "Island" is a mystery thriller about a man with nothing left in his hands, the strange events he goes through every night in his hometown, Jeju where he has settled down, and his endeavors trying to solve the hidden secrets of an island. Moon Ga-young plays Yeon-joo, a girl with sad eyes, who seems to be shrouded in sad secrets as her sorrowful eyes may explain very well. Her line, 'I really want to go back the Island once again' raises curiosity in moviegoers as to what's the story behind the copy on the poster. 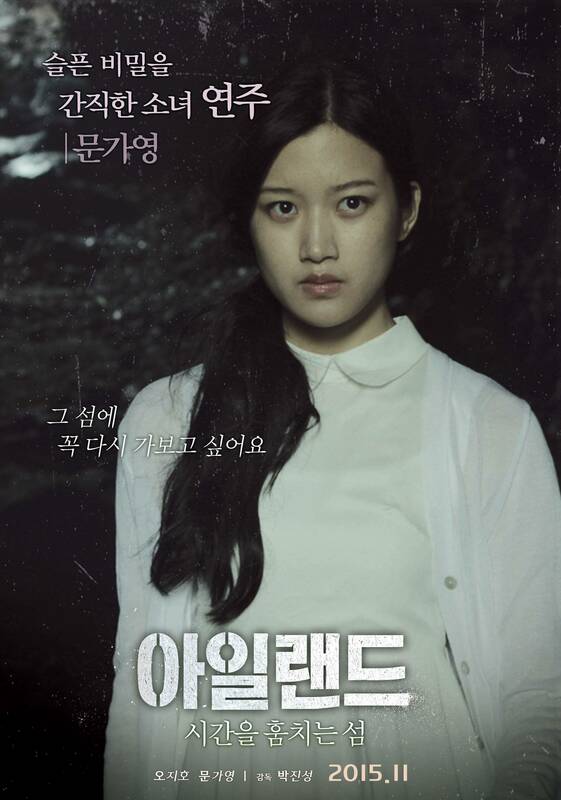 Moon Ga-young is currently starring in KBS 2TV's Wednesday & Thursday drama, "The Merchant: Gaekju 2015". Shim Hyung-tak and Shim Yi-young consider roles in upcoming KBS drama "Five Children"
Yoo Seung-ho's behind cuts of "Remember"
Lee Jung-jae: "Stop defaming", "Strong confrontation"